I’m not sure how many of you are aware of just how hard it is to find the perfect curl combo. You mix, you apply, you shingle, you scrunch, you diffuse, you google and still the perfect curl eludes you. For my hair texture, type, etc., I’ve hit the equivalent of the mother load. Camille Rose Naturals combination of products are the answer to my WNG prayers. Side Note: I have to thank my hair stylist for the color which makes the curls pop even more, but that’s for another blog post! Mia of Salon Vintage will help you coax and cajole your curls if you are just starting out and need a bit of professional advice. Disclaimer: I use the LOC method religiously to maintain moisture in my hair. A lot of the shine you see is because I have worked to LOC in the moisture with this method. I highly recommend adding OIL as your Step 1. when hair is soaking wet after washing. Ingredients: Distilled Water, Cocos Nucifera (Coconut) Water, Cetearyl alcohol, Cetyl Alcohol, Behentrimonium Methosulfate, Cocos Nucifera (Coconut) Fruit Extract, Althaea Officinalis (Marshmalow) Leaf/ Root Extract, Linum Usitatissmum (Flax Seed) Oil, Butyrospermum Parkii Glycerides (Shea Butter), Butylene Glycol, Vitis Vinifera (Grape) Seed Oil, Camellia Sinensis (Green Tea) Leaf Extract, Cannabis Sativa (Hemp Seed) Oil, Helianthus Annuus (Sunflower Seed) Oil, Phenoxyethanol and Caprylyl Glycol (Optphen ND), Aloe Ferox Powder, Marshmallow Root, Yucca Root, Blue Cohosh, Scent and Love. After you saturate the hair with the leave-in repeat the shingle method, layer by layer of hair, with the Aloe Butter Gel and immediately follow with Curl Maker, as you work your way up the head. How To Apply: Can be used on dry or wet curls. Apply a good amount and distribute throughout hair, then style. Enjoy! The results will be quite simply CURL HEAVEN!! 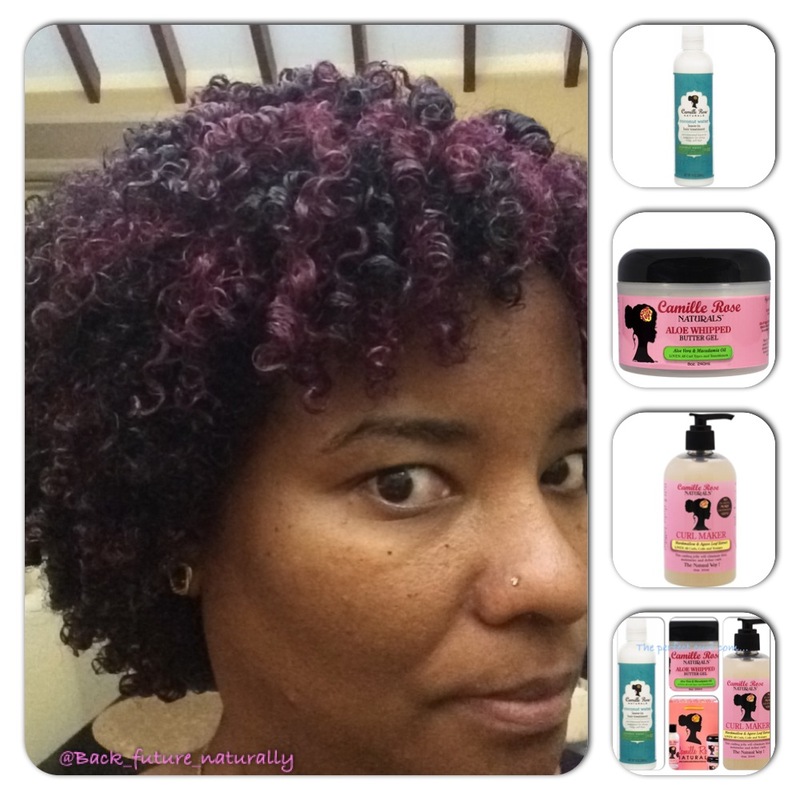 My success with Camille Rose has not been limited to Wash N Gos only – here are my coil out results using Camille Rose Naturals.